Extra wide and long for easier operating of your charging handle with low mounted scopes. Weighs 8oz. One-second extend/retract. Unique "Snap-N-Lock" button to fold forward or rearward. No gunsmithing to install. All hardware included. Swivels 60�. All bipods allow use of a sling. Non-slip rubber feet. Proudly made in the USA. Unconditional lifetime warranty. 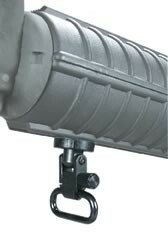 Sling swivel stud hardware included. Fits round or mil-spec hand guards. Swivel included. Fits .223. 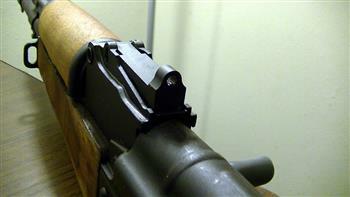 Black rubber cover slips on mag. Keeps ammo dry and dust free. 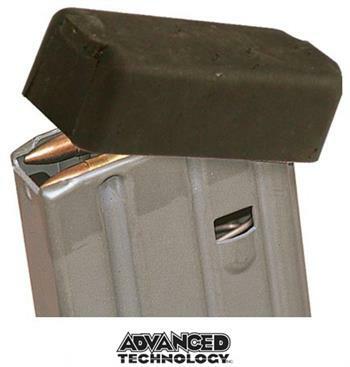 Also protects mag feed lips. Easily slips on and off magazine. A. Front sight adjustment tool. B. MagCinch strap tightening device to assist you in getting your MagCinch units installed correctly. C.Bolt face cleaning tool. This tool is the exact size of the 5.56mm/.223 bolt face. Lets you remove any built up residue and fouling. D. Two disassembly punches. One is large enough for the take down pin and the other is for the pins in your lower receiver. Using these tools will make sure you don't mar the finish of your favorite rifle. 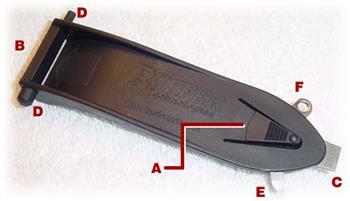 E. A tool that can be used in place of a Phillips screwdriver or can be used as a scraper. F.Lanyard loop, which allows you to tie your tool to you web gear or tool bag so you don't lose it.